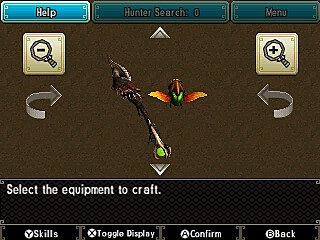 The Insect Glaive is a unique weapon in Monster Hunter Generations. It is a staff that comes with a kinsect that you can send out to gather nectar and buff yourself. This kinsect is just as important as the weapon itself so be sure to check out my Kinsect Upgrade guide for more details on that. 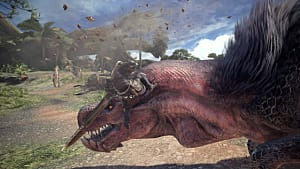 The Insect Glaive was the main weapon I used in Monster Hunter Ultimate 4 and the main weapon I currently use in Monster Hunter Generations. The mechanics are mostly the same, but the addition of hunter arts and styles creates some interesting choices. 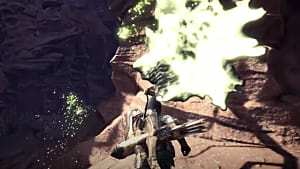 I'll go over getting started with the Insect Glaive, and some tips on using it effectively. Basic Controls - The different things you can do with the Insect Glaive. Kinsect Extracts - The different color extracts and what they do. 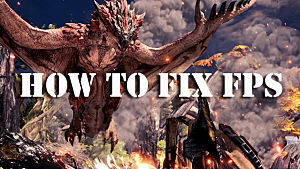 Extra Tips - Tips to help you get better at using the Insect Glaive. This is usually how you will start combos. XXA is a your main one that you can keep repeating. You can also press a direction before while pressing X to perform a poke attack. This is fantastic for mounting monsters without jumping off ledges. This is also good for avoiding certain attacks. Your kinsect will gather an extract then slowly come back to you, or you can recall it to make it come back faster. You can also press R to mark a specific spot on the monster to make your Kinsect aim for that, but I don't suggest this method. 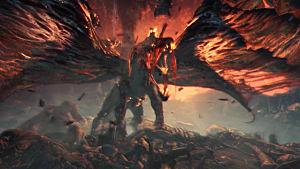 There are 4 types of extracts you can get from big monsters and they all give some type of effect to your hunter. You can also combine white with red or orange to give additional effects. Red and white increase attack more and red and orange also gives more defense. Red, white, and orange combined gives all the boosts, plus it increases it even more. Small monsters only give 1 extract and which you get depends on the monster. You can't always get green, but it isn't something you should be aiming for anyway. 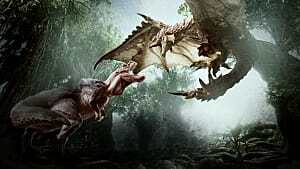 I won't go over the general info on the 4 Styles -- if you want you can check out my Beginner Tips and Tricks for more details -- but I will let you know how they affect Insect Glaive. Guild is your default 1 that gives you all your attacks. This is what I suggest starting with. I don't suggest Adept for Insect Glaive because it is just too clunky. Striker also isn't that great because you can't control your combos, but it is fine if you want a more basic setup. Aerial is my favorite -- and even though Insect Glaive can already vault, Aerial gives more advantages. You have access to all attacks just like Guild style, but dodge and vault are a little different. Instead of a forward dodge, you'll do an aerial dodge. This isn't good for actually dodging, but it does give another, quick way to jump on a monster. The vault becomes a forward vault, which launches you forward a lot more than straight up in the air. It is also fast and a good way to avoid or close gaps. 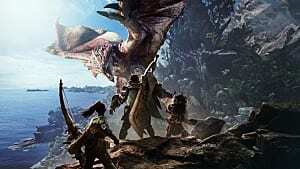 Extract Hunter - Slings your kinsect to take all extracts at once. Swarm - Summons protective insects to attacks anything around you. Bug Blow - Combo attack that end in a vault to preform an overhead smash in the air. Stronger if you have Swarm active. When solo and using Guild, I suggest using Swarm and Bug Blow since they work well together. Swarm isn't great in multiplayer because they will attack allies as well. I use Extract Hunter when playing Aerial because you can only use 1 art and it is nice to get all the boosts at once if I'm having a hard time collecting extracts. At the very least, you should always have a red when attacking. Ideally, you want Red and White or all 3. They are separate upgrades in this game, but they are still separate for each Insect Glaive. This means it is a good idea to find a good Insect Glaive, then level up the Kinsect for that. This means that it is a good idea to have 1 of each type so you can best fight any monster. That wraps up my Monster Hunter Generations Insect Glaive guide. Let me know if you have any questions or tips of your own!